The first time I heard these words spoken to me, it brought tears to my eyes. I had read the words while studying the sacraments in RCIA, but it didn’t really prepare me for the feeling of forgiveness that I felt at that moment. It’s one thing to know about it, but quite another to actually experience God’s mercy in such a tangible and profound way. When I really started to consider converting to Catholicism, the biggest obstacle for me wasn’t Marian devotions or Papal infallibility or any other thing you’d think would be a hang-up for a young Protestant like myself. No, the biggest obstacle for me was the thought of sitting down and telling a priest what I had been doing in my life and all the times I fell short of God’s command “But as he who called you is holy, be holy yourselves in all your conduct; since it is written, ‘You shall be holy, for I am holy’” (1 Peter 1:15-16). I obsessed over this encounter, and as we got closer to Easter Vigil I started losing sleep over it, as well. My sponsor suggested that I make my First Confession face to face rather than behind the screen. This put my anxiety through the roof, but he said it was so that I would really experience the love and mercy of God being extended to me through his ordained minister, the priest. Then it hit me that there is really nothing new under the sun. “What has been is what will be, and what has been done is what will be done; and there is nothing new under the sun. Is there a thing of which it is said, ‘See, this is new’? It has been already, in the ages before us” (Ecclesiastes 1:9-10). Everything I was saying had been said before and would be said again, maybe even by me. Then the priest spoke those words, the most beautiful words I’ve ever heard spoken, words that lifted my heart, and for the first time in my life made me feel like I was truly forgiven by God. I had asked God for forgiveness many times before, but there was nobody sitting a few feet away to acknowledge my contrition and offer absolution. It was right then that I understood why, when some people spoke of confession, they used the term “reconciliation,” because it’s much more than some cathartic therapy session. You are admitting your sins to Christ (He already knows them, so don’t worry, you won’t be struck by lightning), through the priest, and it’s all for your benefit. We are human, so when we say we’re sorry, we want the other person to acknowledge our fault and forgive us. Here I was, sitting across from a priest, a priest I thought only a few seconds earlier might slap me as soon as I started confessing, and I’m the one at a loss for words. It was at this moment that the entire sacrament changed, in my mind and in my heart. No longer was it an obstacle to overcome on my way to communion with the Church; it was now an asset to be utilized in my spiritual life. On Easter Sunday, nearly 2000 years ago, Jesus didn’t give the Apostles the power to forgive sins as a way to keep us all in line. He gave it to them as a loving way to bring us back to Him. “Jesus said to them again, ‘Peace be with you. As the Father has sent me, even so I send you.’ And when he had said this, he breathed on them, and said to them, ‘Receive the Holy Spirit. If you forgive the sins of any, they are forgiven; if you retain the sins of any, they are retained.’” (John 20:21-23). The operative part here is the peace of Christ. “As the Father has sent me, even so I send you” — but how did the Father send Christ? Was it not as a sign of God’s sacrificial love? The Sacrament of Reconciliation isn’t some kind of divine “gotcha,” a way for God to rub our noses in our sinful behavior. It is truly a way to be reconciled with our loving and merciful Father. Yes, you confess your sins, and yes, there is a penance to be satisfied, but the key part is the reconciliation. 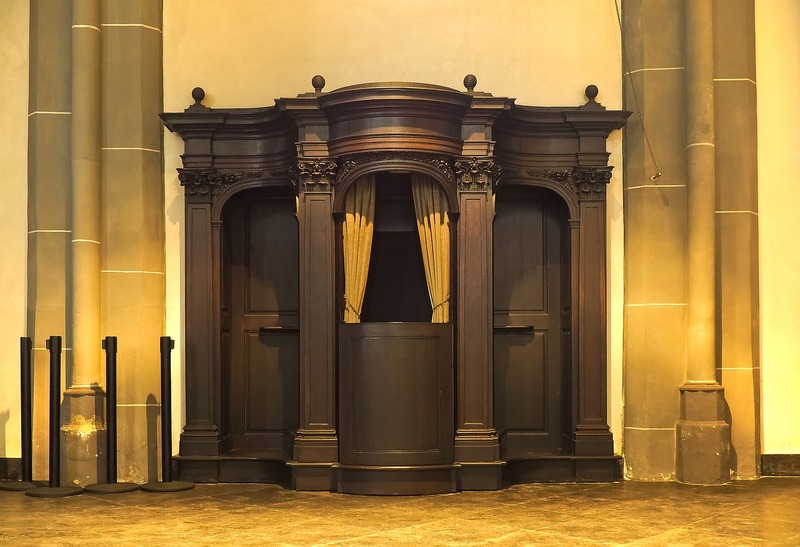 So if you’ve been away from the Church, or just away from the confessional, or are not Catholic but are considering converting, I encourage you to enter the confessional and experience forgiveness for yourself. What a beautiful gift we have been given! What a wonderful, loving God who is “reconciling the world to Himself” (2 Corinthians 5:19) through the death and resurrection of His Son! And we have access to this gift through the Sacrament of Reconciliation. Charles Johnston is a father and husband who works as a contractor in Phoenix AZ. He’s a convert from evangelical Protestantism, who realized years ago that he wasn’t really protesting anything. He writes regularly at and nowthatimcatholic.com and Catholic365.com. 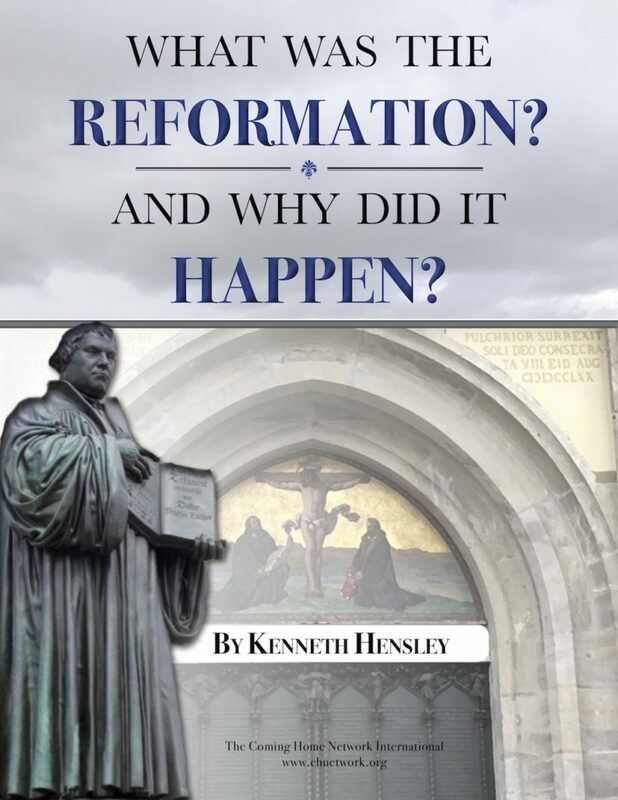 His written conversion story is also available to read here.